If you tend to keep up with the world of skin care and makeup, you may have noticed that trends tend to change on a monthly or even a weekly basis. In all this constant race to find the new cosmetic superstar, it’s hard to determine which product are truly worthy of being included in your skin care arsenal. To help you cut through the noise, we have prepared this list of skin care must-haves that will assist you in achieving that healthy, glowing complexion you’ve been dreaming of. From cleansers to face masks, let’s check out what are some of the ultimate skin care essentials. Having clear, toxin-free skin should be the initial step in every thought-out beauty regimen. The beauty market is saturated with all stripes of cleansing products: from the unpretentious facial wipes to hi-tech beauty tools that promise ultra-deep purification. However, one type of face cleanser has been increasingly popular within the beauty community, if not for its luxurious feel, then for its power to remove even the most persistent makeup and dirt that inhabits your pores. Of course, we are talking about oil cleansers, which – despite your trepidation – are totally suitable for all skin types. Because of its slippery consistency, an oil-based cleanser will be able to break down dirt and product on your face without pulling or aggravating the skin. Moreover, it will effectively penetrate deep into your skin and dislodge all the pollutants that have been amassing on its surface during the day. Another reason why people have been turning to oil-based cleansers is that they don’t deprive your skin of its natural moisture. That’s why, when you cleanse your face with oils and balm, your skin will feel supremely purified, yet soft and supple. Even though toning is always stressed as an essential part of a good skin care routine, many people tend to gloss over it. While aversion to toners ins not entirely unfounded – perhaps some people had bad luck with overly drying, astringent formulas – this skin care product can be the key to transforming your skin. The only trick is to find a product that will replenish your cells with moisture, while simultaneously balancing the pH levels in your skin. This twofold activity will help you achieve a more even complexion, but also prevent that initial loss of moisture that occurs after shower or cleansing. Moreover, a moisture-packed toner will prep your skin for all the additional layers of hydration that you will apply as part of your skin care. Toner can be applied immediately after you’ve cleansed your face or after stepping out of the shower. Squeeze out a coin-sized amount onto your palm, then pat it gently into your skin while it’s still damp from water. Every once in a while, your skin will be in need of a purification step that works on a deeper level than your-go to cleanser. And this is when exfoliants step onto the stage. Not only will a quality exfoliator help dislodge even the most stubborn grime residing in your pores, it will also accelerate the growth of new skin and thus help eliminate all those imperfections that are sullying your complexion. There are a variety of different exfoliants currently on the market: in rough terms, they can be divided into to categories – mechanical and chemical. Mechanical exfoliation usually involves scrubbing your face through physical means, whether that’s with beauty tools (cloths, gloves, loofahs) or with products infused with beads, shells or other types of exfoliants. Chemical exfoliants act by breaking down dirt and dead skin layers via – you guessed it – chemical processes, which can help even out your skin tone and contribute to a more glowing complexion. When it comes to skin care, one layer of moisture sometimes simply isn’t enough. 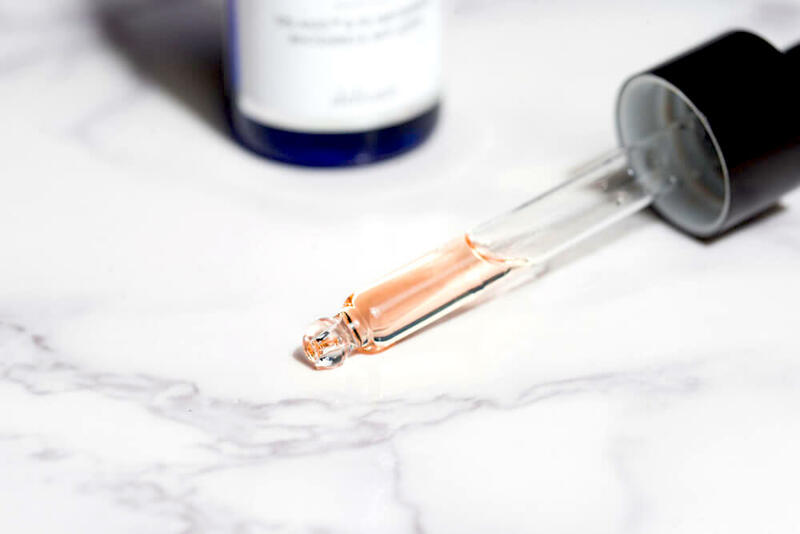 Whether you have notably parched skin or are looking to reduce premature signs of aging, you might want to consider investing in a sidekick for your moisturizers, AKA a rejuvenating serum. Think of these skin care superheroes as more concentrated versions of your standard face creams, which carry more nutrients and can penetrate deeper into your cells, transforming your skin from inside out. Serums can be applied after toners and before moisturizers, and they are especially recommended for people who are noticing first signs of aging. All these ingredients can do wonders for erasing signs of aging and contribute to a bouncy, firm complexion, making serums an essential part in your skin care routine. A quality moisturizer is often considered the be all and end all of every skin care routine. Our cells use the nutrients and H2O found in moisturizers to regenerate and keep our dermis looking plump and youthful. Whether it’s a quick hydrating fix or a luxurious face cream, it’s important not to forget to top off your beauty routine with this essential product. However, due to the immense offer of moisturizer available on the market, you should be mindful when choosing the right product for you. When it comes to picking the ideal face cream, be guided by your skin type. If you tend to be on the oilier side, go for a water-based moisturizer that will replenish your skin with H2O without weighing it down or greasing it up. If you have dry or mature skin, focus more on richer creams with humectants and emollients that will help you achieve that glowing, rejuvenated look. Those whose skin tends to be on the sensitive side need to be extra careful when reading the labels. Look for products free of parabens, artificial coloring or fragrances. The first symptoms of exhaustion and lack of sleep will appear around your eye area, most often in form of dark, puffy circles. Most people have extra pigmentation on their under-eye area; however, this problem can become even more visible when you are tired, stresses or simply dehydrated. And swollen, dark eye circles can certainly dampen your mood and make your complexion look less than ideal. Lucky for you, eye masks are here to provide instant relief to exhausted eyes, by cooling them down and boosting blood flow in that area. Half of your skin care battles boil down to prevention and, when we’re talking about nipping beauty problems in the bud, one product reigns supreme: sunscreen. A quality sun blocker will help shield your skin from harmful UV rays, one of the major culprits for dry, irritated skin, as well as blemishes, wrinkles and other signs of premature aging. This is why you should stop thinking of sunscreen as a product only reserved for scorching summer months and actually incorporate it into your day-to-day routine. You can use your sunscreen at the very end of your skin care and just before makeup. Opt for malleable, lightweight consistencies that will be easier to blend on the skin and won’t interfere with the appearance of your makeup. Make sure to apply a decent-sized amount, focusing on your face, neck, décolletage and any other areas that will be exposed to direct sunlight. Face masks have become a symbol of self-care and pampering, so it’s no wonder why they should find themselves in your skin care arsenal. 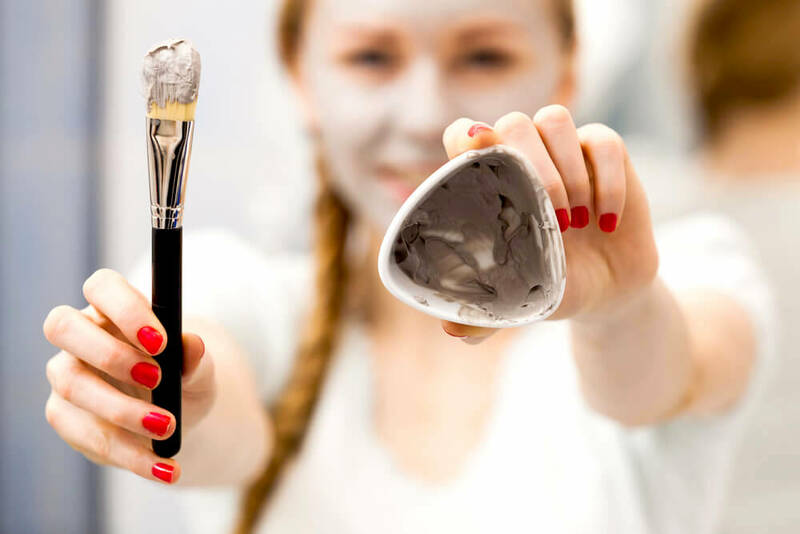 There are countless types of masks out there on the beauty market; however, if you’re looking for something with amazing purifying capabilities, then look no further than snatching an all-natural clay mask. This powerful earthen ingredient has the potential to dive deep into your pores and cleanse them from all the daily dirt and grime that is causing your complexion to appear dull and grey. Moreover, by tacking the issue of excess sebum, occasional use of face masks can also help reduce chances of acne and breakouts. Finally, treating your face to a lush 20-minute mask treatment will help you achieve a lifted, firmer feel to your complexion. Clay masks are also super easy to use. Simply scoop out a generous amount and apply it to your face using your fingers or a flat foundation brush, making sure to avoid the eye and mouth area. Leave it on until you feel your face tighten, then rinse with lukewarm water. Sometimes, the moisture we supply our skin with in the mornings and evenings is not enough to keep it looking supple and hydrated throughout the day. This is especially the case if your skin tends to be dry or dehydrated, or if you live in notably arid climates. A handy skin-care go-to in these instances is face mist, a replenishing product that will instantly infuse your skin with the extra dose of H2O. Moreover, face mists are often enriched with all kinds of skin-pepping ingredients, so not only will your complexion be treated to an additional dose of moisture, it will also be replenished with nutrients that will help it look healthy and radiant. Not only are they incredibly convenient, facial mists are also super versatile in terms of usage. You can apply them straight after cleansing as a means of toning your skin or just before you start applying makeup for that glow-from within look. Mists can also be spritzed on your face and neck throughout the day and used over your makeup without disrupting your look. If you don’t have a lot of time to take care of your skin in the AM, then evenings should definitely be reserved for some quality pampering time. This is the ideal opportunity to treat your skin to a nourishing sleeping mask, which can be defined as a fortified, heavy-duty moisturizer that will assist your skin cells in regenerative processes while you’re catching up on your zzz’s. Even though they are too thick to be used at day time, sleeping packs or masks can be an excellent addition into your PM skin care regimen. Simply put on a generous amount after you’ve applied the rest of your skin care and get under the sheets. In the morning, you will be greeted with fresh and radiant complexion packed with moisture. Okay, so we’ve covered all the formulas that can transform your skin for the better, but are there any tools that can also help you on your journey towards radiant complexion? Of course, there is no shortage of all stripes of beauty tools on the market that can assist you in this goal, from the good ol’ makeup removal cloths to sleek, hi-tech cleansing gadgets. However, one tool may be particularly beneficial for upping up your skin care game and that’s a face massager. Not only will stimulating your face reduce your stress levels, it will also stimulate blood flow and help perk up your skin, but also make it more receptive to all the skin care you will use as part of your beauty regimen. Even if you’ve perfected your skin care routine to a T, it’s easy to forget that your pout needs a bit of TLC, too. If you live in especially cold or arid climates, you probably experience the phenomenon of dry, chapped lips more often than you’d like. A great way to relieve this problem is by investing in a good lip scrub, which will have a twofold effect on your pout. First, it will eliminate dead skin cells and other pollutants that are irritating your lips. Next, it will promote circulation, which means your pout will instantly become juicier and more vibrant. Always follow up your lip scrub with a nourishing balm and you will never have to worry about parched pout again. Now that you know what items should definitely find themselves amongst your skin care essentials, it will be easier to distinguish between cosmetic fads and true and tested products. With a little bit of trial and error, you will be well on your way to building a skin-boosting beauty regimen like a pro.